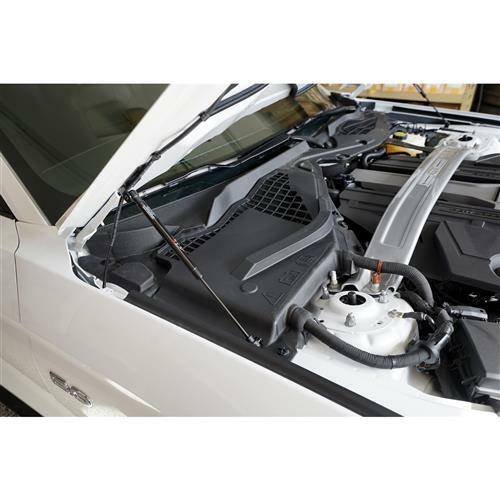 Install these 2018-2019 Mustang Redline Quicklift Plus hood struts to get rid of that annoying hood prop rod on your S550 Mustang! More Under Hood Room For Easy Access! 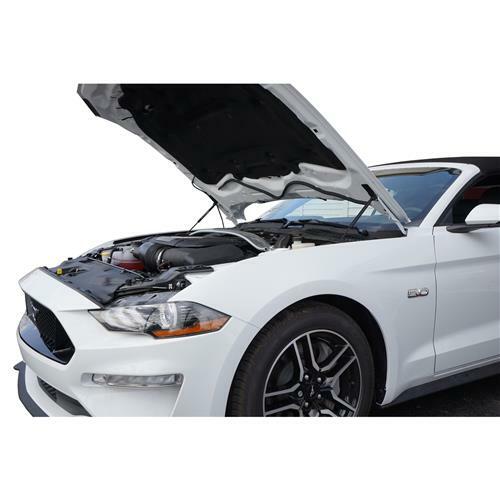 If you want to get rid of that annoying hood prop rod and give you more room to work on your motor, these 2018-2019 Mustang hood struts from Redline, Quicklift Plus are the perfect solution. 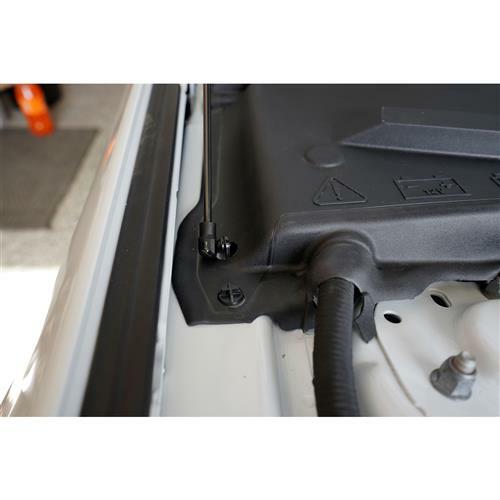 This hood supports come finished in a matte black finish and mount to your S550 fenders and hood to hold up your hood while giving you more clearance under your hood. Finished in a matte black finish and boasting a 4-year warranty, Redline hood struts are sure to impress. Adding a set of hood shocks can also assist in opening and closing your hood! A great upgrade for any S550 Mustang, this kit will definitely make your Stang stand out at your next car show! The Redline Quicklift hood struts are made from black e-coated, custom-valved gas springs designed to lift your S550 hood with ease. These struts feature a progressive, slow release system which uses the gas springs to slow down extending rate, allowing for a fluid lifting process. Redline Tuning - For those who spend more time under their hood, than behind it. Redline Tuning is in business to provide niche products for your Mustang or Lightning. Started in 2002, Redline Tuning began designing and engineering new and innovative specialty products that were not available for your vehicle. 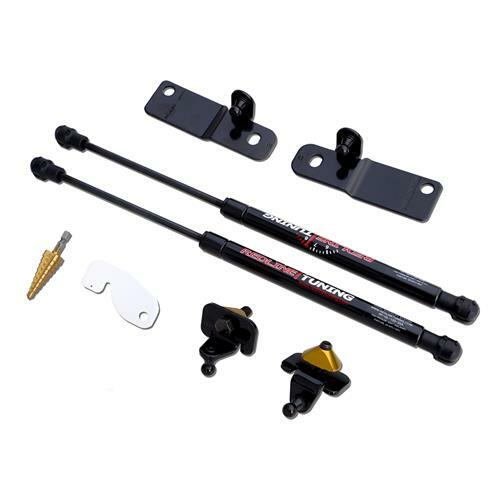 Redline's hood support struts are a popular upgrade for 1979-2015 Mustangs. 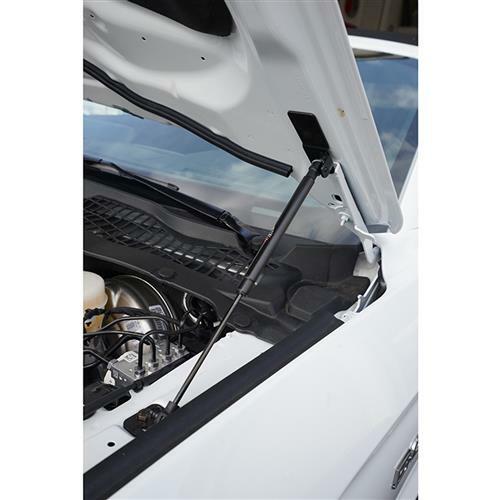 These struts eliminate the need for hood props and make working on your Mustang's motor easier than ever!